Notice came out last night that Mumford and Sons are playing one of their surprise club shows tonight in Toronto – a small venue called Lee’s Palace. Tickets went on sale for the show this morning – it was a long shot (and should be such an amazing show tonight) but no luck in getting tickets. So as I wallow in the disappointment of missing this, let me reprise an older post I did on Mumford and Sons a few years back. It seemed like their music was, and still is, a really fine soundtrack for Lent. Lent begins this Wednesday and I’ve landed on this year’s soundtrack for this season of repentance – Mumford & Sons Sigh no more. I know I’ve blogged on them earlier here, but this album continues to capture me and much of the honest, plaintive confession of Lent. The title song Sigh no more confesses: “My heart was never pure / You know me” and then hopes for a “love that will not betray you / dismay or enslave you, it will set you free.” The Cave cries out the hope of Lenten penitence – “I need freedom now / and I need to know how / to live my life as its meant to be.” Lent is a long study in giving up all the ways we try to find life, finding life as its meant to be lived in Jesus and his passion. Awake My Soul is an honest probe of a lumpy heart: “How fickle my heart and how woozy my eyes / I struggle to find any truth in your lies / And now my heart stumbles on things I don’t know / This weakness I feel I must finally show.” Isn’t this what Lent is – an invitation to the painful journey of revealing our weaknesses, our broken hearts and disjointed lives, praying that God would awaken us to resurrection life? And don’t miss the spot in the song (2:48) where the band begins a sung cry, a gut-level, lyric-less lament – listen to it (see below) as the voice of Lent. The album title comes from Shakespeare’s “Much Ado about nothing” (Act 2, scene 3: “Sigh no more, ladies, sigh no more, Men were deceivers ever, One foot in sea, and one on shore, To one thing constant never”) – this band is wonderfully literate. In this scene from Shakespeare, Balthasar urges the other women to sigh no more, to let go of the disappointment and expectation for men to change and, instead, accept and love them as they are. Throughout Lent I’m faced with my own shadows, left sighing with disappointment again, wishing for change in my fickle heart. But the gospel of Jesus Christ is the stunning call to sigh no more, telling me I’m accepted in spite of myself. That is the work of Lent and the starting point of any real change, of a resurrection. 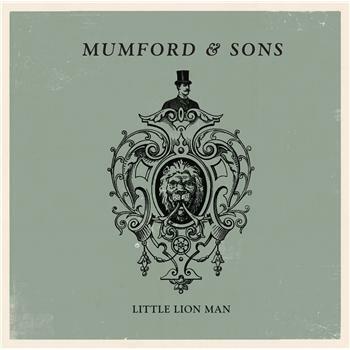 Below is the video for Little Lion Man (just a word of caution – if you’re offended by the use of the f-bomb, then do avoid this song). This entry was posted on April 3, 2015, 4:22 pm and is filed under Lent, Music. You can follow any responses to this entry through RSS 2.0. You can leave a response, or trackback from your own site.